Looking for top quality as well as incredible performance from a great-rated window or patio door? We at Renewal by Andersen offer Missoula residents all this and so much more. Our certified experts have trained and worked diligently to become the very best at what we do. This shows because our customers keep coming back for more! What keeps people loyally returning time and again? It’s the friendly customer service. It’s the fact that people are treated like they are a part of our family. And, of course, it’s the quality products – and these are the things that make a difference. Increase comfort and lower energy costs. Upgrade or enhance your home’s look. Help with energy efficiency and reduce condensation. When it comes to the window styles that Renewal by Andersen offers, there are so many to choose from. They range from double hung and casement to bay and bow. We have picture and sliding windows, plus specialty and awning windows. There are many additional options to customize your windows, and that doesn’t even start on doors! When it comes to doors, we offer hinged French patio doors, sliding French patio doors and contemporary sliding doors, just to name a few. Renewal by Andersen of Montana has a lot to offer, and our staff of highly trained experts can help guide you in the right direction so that your vision can be fulfilled! Visit our showroom or take a look at our gallery to see examples of our quality products. We are here to serve you. Call Renewal by Andersen of Montana for a free, no-obligation consultation at (406) 259-3944. 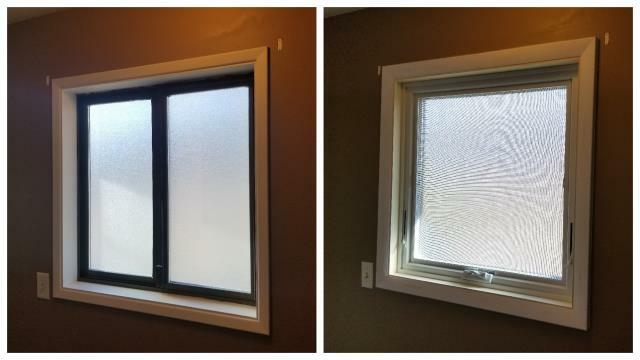 An inside/outside view of a new Fibrex awning window we replaced in this kitchen in Missoula! 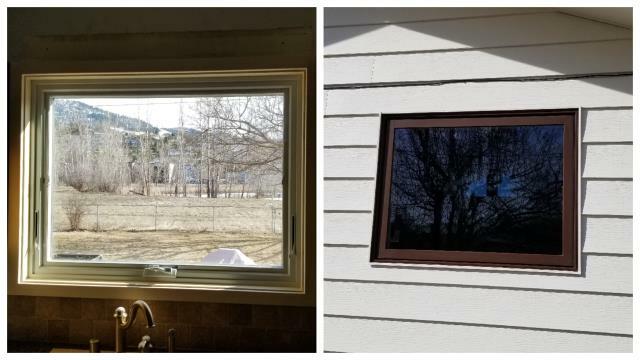 We replaced this old slider with a new Renewal by Andersen privacy awning window in Missoula! 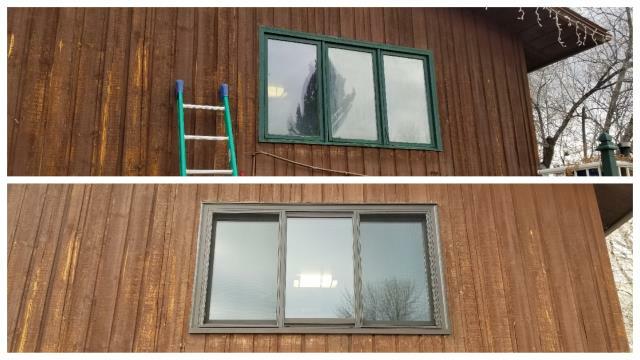 We replaced these old wooden windows with insulated Fibrex Windows in Missoula!